The spokesman of the Joint Incident Assessment Team of the Arab Coalition said the Coalition's procedures in Yemen conform with the international humanitarian law and its customary rules. 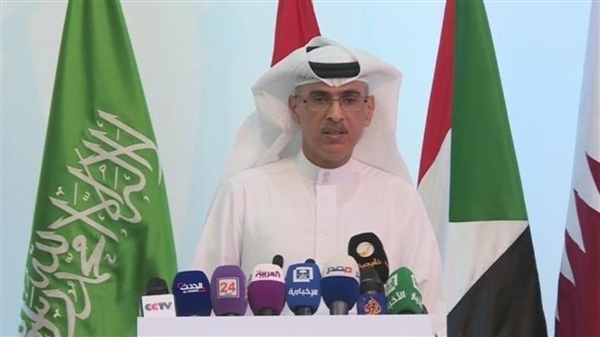 In a press conference in Riyadh on Sunday, Mansour al-Mansour commented on a number of claims of faulty Coalition strikes that allegedly resulted in civilian casualties. "In relation to (Qat market) in Sa'dah Governorate, and regarding the annual report of the High Commissioner for Human Rights issued on (4 August 2016 ) which stated that an attack occurred on (19 September 2015) by the Coalition Air Forces on (Al Qat market), Coordinate (N170619.63 E04413 14.91) with (3) airstrikes killing (25) people and injuring (16) others. JIAT verified the incident, examined all related documents, including the Procedures; Rules of Engagement, the Daily Mission Schedule, the After Mission Reports, the satellite images of the target location; and assessed all gathered evidence. with the International Humanitarian Law and its Customary Rules. In relation to ( Alhosaini Mosque) in Aden City, and regarding the annual report of the High Commissioner for Human Rights issued on (4 August 2016) which stated that the Coalition Forces carried out an attack on (Alhosaini Mosque) on (14 July 2015), coordinates (N12 46.558 E045 02.417) in (Aden) city, Which caused complete destruction of the Mosque, and according to locals, the Mosque was used for military purposes by the Houthi Militia.